Here’s to a fabulous #BookGivingDay in 2018! I feel soooo lucky to be part of the team that is helping the #BookGivingDay crew share the much-anticipated poster reveal for Book Giving Day 2018! So cool! Elys Dolan’s poster features an array of fun, book-loving characters. 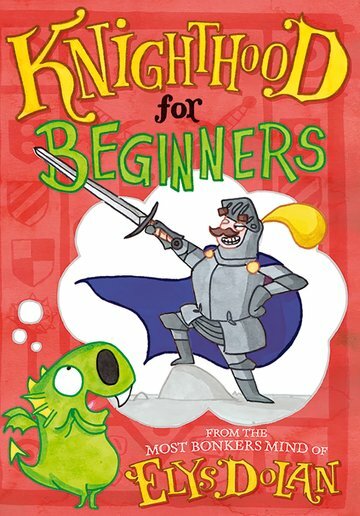 Eagle-eyed readers will spot some familiar, much-loved characters from her illustrated novel, Knighthood for Beginners, (Oxford University Press, 2017). With its fun design and brilliant attention to detail, Dolan’s poster is sure to catch lots of attention. Elys is an author and illustrator based in Cambridge where she studied children’s book illustration. She works predominantly with ink, newfangled digital witchcraft and colored pencils of which she is the proud owner of 178 but can never seem to find a sharpener. When not doing pictures and making things up Elys enjoys growing cacti, working on her PhD about funny picture books and eating excessive amounts of fondant fancies. Now in its 6th year International Book Giving Day continues to grow from strength to strength reaching places such as Nepal, India, Canada, South Africa, UK, France, Germany, Australia, New Zealand, Italy, Nigeria, Fiji, Czech Republic, USA, Cambodia, Hungary, Philippines and Romania. This can take many forms, the only limit is the imagination. Books have been sent to child refugees in Calais, France; a new library was created in Cape Town, South Africa; in Uganda the Mpambara-Cox Foundation gifted books to children, for many it was the first time they have been given a book of their own. In 2014 Scholastic Australia went to the Melbourne Children’s Hospital and gifted a book to every child. People continue to be creative in so many different ways, all keen to share the love of books. 3) donate a gently used book to a local library, hospital or shelter or to an organization that distributes used books to children in need internationally. In addition, we encourage people to support the work of nonprofit organizations (i.e. charities) that work year round to give books to children. The Multicultural Children’s Book Day Linky Is LIVE! A Chance to WIN Multicultural Children’s Books! Back To School Multicultural Children’s Book Giveaway! Earn FREE Multicultural Books for Teachers and Classrooms! Previous Post A Multicultural Children’s Book Day 2018 Roundup of Diverse Kids’ Book Reviews!